tres bien. je ne misser pas monsieur Anderson. monsieur David est tres superior. Bon voice, sans attitude. Bravo. The first time I saw Yes was the Drama tour, so a special pleasure to see and hear Tempus Fugit and Machine Messiah (one of the high-highlights of the evening). The hall was not packed, but the atmosphere was fantastic. I felt they were a little "stiff" at first but soon warmed up, especially after "And you and I". Oliver smiled a couple of times and seemed more relaxed than previous reviews suggested, Steve and Chris were on fire, Alan's solo rocked and Benoit did full justice to the lyrics without trying to be Jon. They just got better and better and the Starship finale was incredible. Yes in Lyon? Yes indeed! During the show (just after I've Seen All Good People), Chris Squire confirmed what was obvious (considering the two weird binocular cameras installed just in front of the stage) : the show was filmed using the revolutionary "no-special-glasses-required" 3-D system, a (world ?) premiere ! The show was about 2h30 long ! 6 songs were more than 10 minutes long ! Note that Machine Messiah came AFTER South Side Of The Sky and And You And I came AFTER Yours Is No Disgrace as well ! The show started at 20:05 with Firebird Suite and opened with the perfect rendition (a special thanx to Beno�t David !) of two Yes classics : Siberian Khatru & I've Seen All Good People. Beno�t David sang marvelously all along the show, just as if he was a clone of Jon Anderson ! His acting on stage is different than Anderson's : David fidgeted more ! He spoke both in english and in french (notably introducing Onward, his personal submission to the band !) Steve Howe's guitar playing was inspired ! Chris Squire's bass playing was energetic ! Oliver Wakeman & Alan White did a great job as well ! 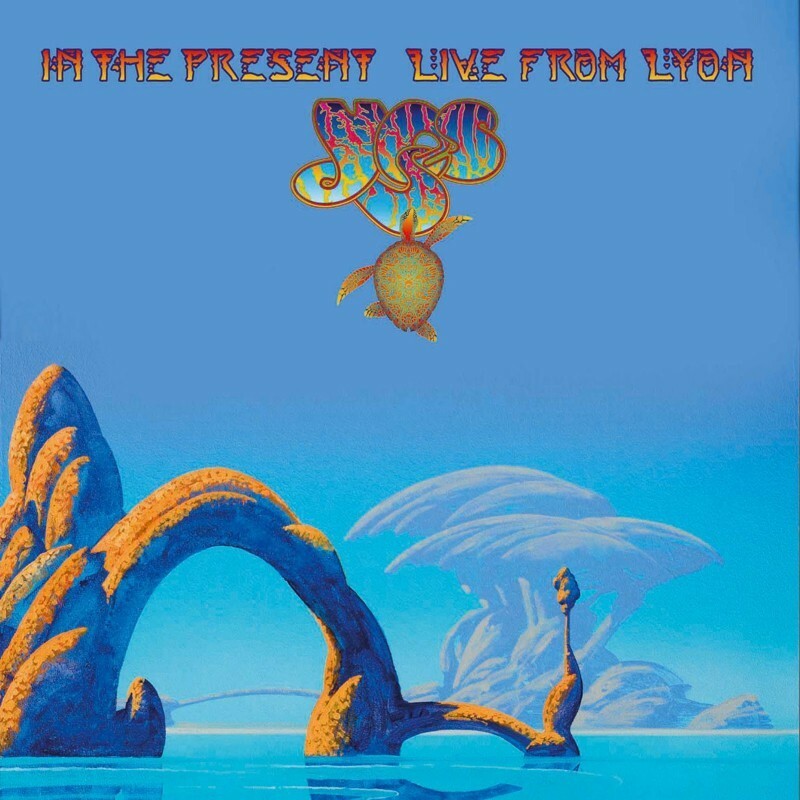 - No track from the great Yes albums from the 1970s such as Tales From Topographic Oceans, Relayer or Going For The One or from the 1990s or 2000s was played ! Songs such as Parallels, Awaken, Close To The Edge, Perpetual Change, The Gates Of Delirium and one Jon's favourite such as Soon would have been well-received ! Similarly, It would had been great if french-spoken Canadian Beno�t David had sung another Jon's favourite, the frenchy-flavoured Nous Sommes Du Soleil ! And if Chris Squire had played his great The Fish (Schindleria Praematurus) as well ! - The great new 2008 Squire song Aliens (Are Us From The Future) was not played, unlike the 2008 part of the present tour, exactly a year ago ! - Machine Messiah was pretty long and boring (that's the way it is since 1980 ! ), except for the great "Machine Messiah..." harmonies in the middle & end. - Tempus Fugit was a rather enjoyable one ! - Astral Traveller is not the best Yes track ever but the band was happy to play it ! - South Side Of The Sky had great harmonies ! - The highlights were Siberian Khatru, And You And, Yours Is No Disgrace, Heart Of The Sunrise, Starship Trooper... and (yet) Onward. - Owner Of A Lonely Heart (very punchy) and Roundabout are definite classics ! I hope Yes will record soon a new studio album as announced lately by Chris Squire himself ! 24 hrs after the show, and still under the emotion of it, I don't have much time to emphasize my comments now. To make it short : It was great. Comparing with Paris earlier in Nov, the sound was far below due to the venue probably. But the audience was a lot hotter with multiple standing ovations. The Group noticed it. Thanks Lyon ! I came from Marseille specially for the 2 shows and Lyon made it unforgettable. The performance was similar, that means almost perfect. Same set list, with Starship as an impressive encore. Two 3D cameras have filmed the show for a DVD expected next summer ! I stayed overnight in the Radisson Hotel and got the surprise to meet there Chris later in the evening and Alan the next morning. Chris was a bit tired 2 hours after the show but still funny, while his wife speaking to mine as two old friends exchanging photographs and memories. Alan was amazingly friendly. Thanks to both of them. Thanks to Yes for keeping their music alive. I�m a ten years old girl and was attending the show with my parents at the first raw in the center just in front of Benoit. We have travelled 400 miles to see the show and we where so happy to sit so close to the guys. It was one of the best show I ever attented with much more energy than the previous one I have seen in Vicenza for the same Tour. Chris was more discrete in Italy when he was really in fire in Lyon. The show was really amazing especially Machine Messahia, AYAI, HOSR, Roundabout, South Side Of the Sky and Starship Trooper. YES music is definitely one of my preferred one (just after Asia !) and the five guys have given us a fantastic performance. Thanks to everybody for the nice atmosphere we have breathed and particularly to Alan, Chris and Benoit for the friendly signs they addressed to me during the show. Many thanks to Benoit and Alan for the Drum stick that they offered to me just before the Encore. Congratulations to Alan, Benoit, Chris, Oliver and Steve for this unforgettable night and I�m looking for seeing you again. We expect now a wonderfull new prog album with a future new Tour. Well done guys and see you soon. As most gigs on this tour it seems, "Starship Trooper" was the encore. Steve Howe's solo consisted of "Corkscrew" and "Surface Tension".